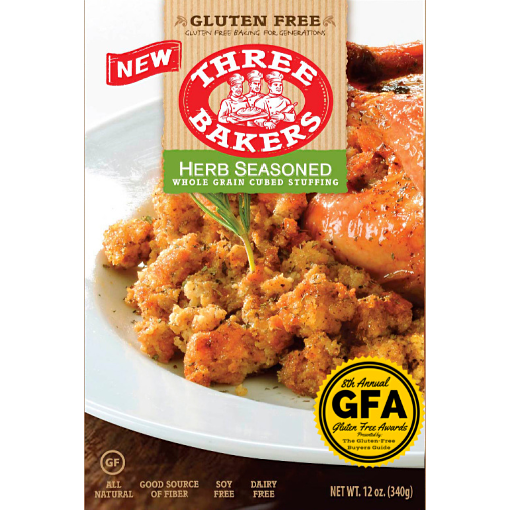 Excited to announce our Gluten Free Herb Seasoned Stuffing Mix will be available during the 2018 holiday season at all Sprouts Farmers Market and Wegmans locations. It will also be available in select Stop&Shop, King Soopers and Ralphs. Be sure to check our Store Locator to find the nearest location to you! Great with Turkey, Chicken or as a side dish. Serve this stuffing at all your holiday parties and receive rave reviews. It can be prepared in a microwave in just a few minutes for a quick side dish with any meal. This is great stuffing mix! It’s very similar to Stove Top stuffing in flavor, texture and ease of preparation. The major downside is the cost. It’s pricey, so it’s more of a special treat for the holidays and to satisfy a serious stuffing craving. The other problem is that it’s difficult to find. Besides those drawbacks, this is well worth trying. Made this in the crock pot with chopped/sauté onion, celery and chicken broth. Everyone loved it including me. I was worried because it was gluten free and I never used gluten free before but my girlfriend has Celiac’s disease. This is a wonderful staple to sprinkle on salads and soups. Stretch your investment by using smaller amounts at a time.